Students will love this BINGO game! 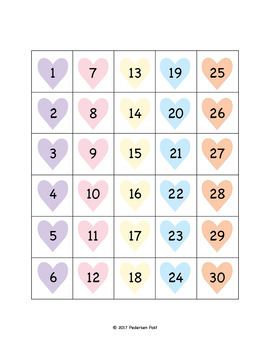 This is a great way to incorporate a little number review into your Valentine's Day Party. 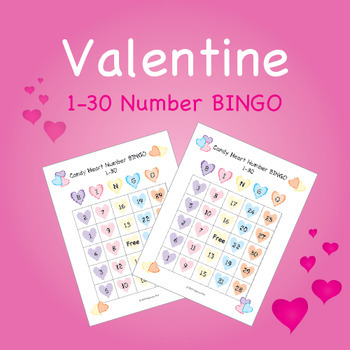 This set includes 6 BINGO boards to play in a small group setting. We have also included hearts numbered 1-30 for students to cut out and call out the numbers to the group. 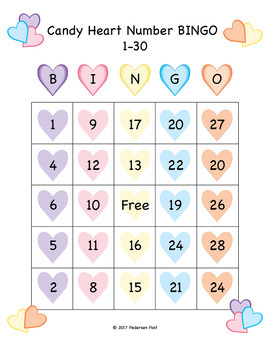 This is a great printable to use with conversation hearts, beans or any counter you have in the classroom!